If ever anyone needed to call the trainer to the court, it was Kaia Kanepi today at the French Open, because someone needed to do the Heimlich Maneuver on her. Already known as a choker, Kanepi took choking to new territory today in the third round when she blew 5-1 leads in both the second and third sets. The Tall One from Tallin served unsuccessfully for the match on four occasions, utterly collapsing on some attempts. And yet--she won. Her opponent, 9th seed Caroline Wozniacki, just couldn't get rid of her, even after a second set that had to have left Kanepi feeling ridiculous. It was excruciating, at times, to watch Kanepi give away match points, but she had to have some kind of belief left in her for her to emerge the 6-1, 6-7, 6-3 winner. The match lasted just under three hours, and included a second set incident in which Wozniacki went all Andy Roddick on the chair umpire when a forehand Kanepi hit was called in and resulted in a break. Kanepi made 41 unforced errors, but she also hit 46 winners. Wozniacki's numbers were 17 and 14, respectively. Kanepi's next opponent will be Arantxa Rus, who took out 25th seed Julia Goerges in three sets. Petra Kvitova, as is too often her habit, went away today in her second set against Nina Bratchikova, but the 4th seed won the match, 6-2, 4-6, 6-1. In the next round, the Czech star will play unseeded Varvara Lepchenko, who upset 2010 champion and 2011 finalist Francesca Schiavone 3-6, 6-3, 8-6. The third set, which lasted an hour and 15 minutes, was exactly the type of set the Italian thrives on winning, but that didn't happen today. Lepchenko has now taken out rising star Ksenia Pervak, former world number 1 Jelena Jankovic and 14th seed Schiavone. That is quite a run. Defending champion Li Na also won today. Li defeated Christina McHale 3-6, 6-2, 6-1, and will face Yaroslava Shvedova in the quarterfinals. Shvedova defeated Carla Suarez Navarro. Shvedova will play Li in the quarterfinals. 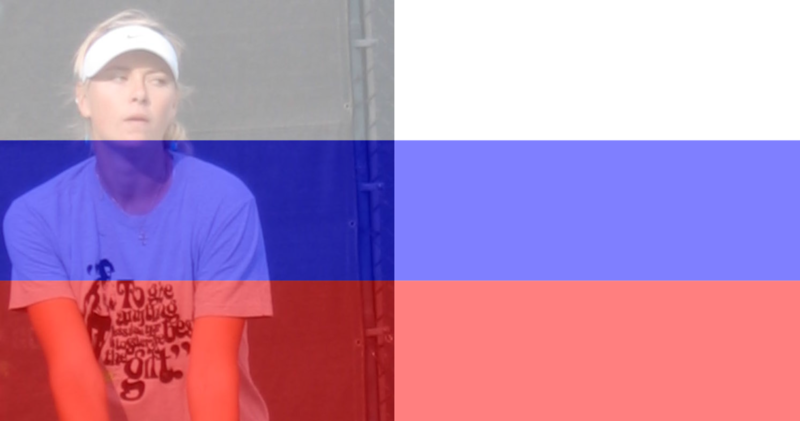 2nd seed Maria Sharapova defeated Peng Shuai, and will play Klara Zakopalova in the next round. Zakopalova beat seed Anastasia Pavlyuchenkova. Sharapova, by the way, has dropped only five games so far in Paris. In doubles, defending champions Andrea Hlavackova and Lucie Hradecka advanced, as did Sara Errani and Roberta Vinci. The Italian team of Flavia Pennetta and Francesca Schiavone went out to the reunited team of Nuria Llagostera Vives and Maria Jose Martinez Sanchez. And in mixed doubles, Llogostera Vives and Oliver Marach upset 3rd seeds Katarina Srebotnik and Nenad Zimonjic. Also, Klaudia Jans-Ignacik and Santiago Gonzalez beat Nadia Petrova and Daniel Nestor. The funny thing is that Wozniacki was actually right. The ball was 6mm out (or so I read). I never quite understood why there is no Hawk-Eye on clay courts. Is it just because there are marks on clay (which aren't always reliable, as seen today), or is there a more reasonable explanation? And so Wozniacki's slump continues. I wonder when Piotr finally realizes what the rest of the tennis world already knows. Four of the players in the lower half of the draw are unseeded. Sharapova has been really lucky as far as the other results are concerned. Right now the only dangerous players in her half are Kvitova and Li, who might meet each other in the quarterfinals. Yet I'm still not convinced about Maria, I think that the pressure of both being considered a favorite and having an opportunity to complete a career Grand Slam will get to her at some point and she'll tighten up. If Li gets to the semis, I'd even go as far as to consider her a favorite against Sharapova. But I'm always wrong about my tennis predictions. I still think that Maria can win at Roland Garros, but she must be a little under the radar. Right now there just seems to be too much buzz around her, especially after Serena's loss. Oh, and you didn't mention Goerges'... uhm, questionable behavior during the last set. Down 1-4, she complained to the umpire about darkness (there were still about 30 minutes until sunset, I think). Having been told to play on, she called a trainer to tape her ankle in rather obvious attempt to run down the clock and get the match suspended until tomorrow. After the last point she seemed to refuse to shake hands with Rus and changed her mind at the last moment, having shaken the umpire's hand first. All in all, it was a rather poor show. Mike, as far as the Hawkeye thing goes, the NBC commentators explained that it has not passed the sufficient margin of error necessary for clay courts. Even at the US Open Hawkeye had to go through many rigorous tests until it reached the necessary margin of error. What the camera didn't show and often does in other matches was show a close up of the spot on the clay itself. That I would have liked to see. So the Hawkeye seen on the network is not passable for margin of error so I am inclined not to believe it anymore than the umpire. Diane, Kanepi frustrated the heck out of me. The whole match did. Kanepi had chances to serve out the match on many occasions. After coming back in the second set and with Kanepi choking, Wozniacki had a perfectly good opportunity to get the third set. Did either one of them want to win the match? Yes, because of the marks left by the ball, Hawk-Eye isn't used on clay courts. I didn't get to see but a little of the Goerges match, so I didn't know about Goerges' behaviors. Thanks for reporting, Mike. Sunny, while I was watching that match, I remembered that time that Serena, in a press conference long ago, said that her topsy-turvy match made her think "I don't want to win this--do you want to win this?" What a mess.